A photograph of the America Art Association in Topeka, Kansas. Several flags are on display with the group members. There is fencing equipment in front of the two men reclining in the center of the photograph. 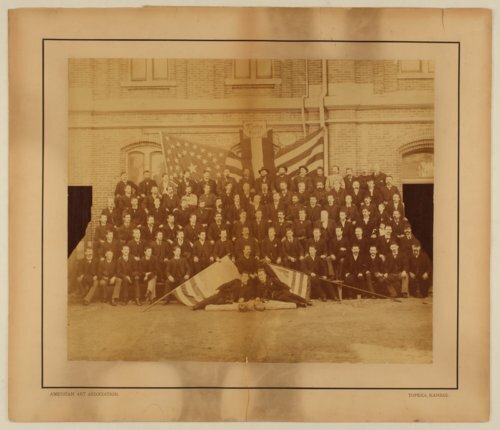 The banners in the center back are in German and the flag on the left front has part of a word that may be Turner or Turnverein.